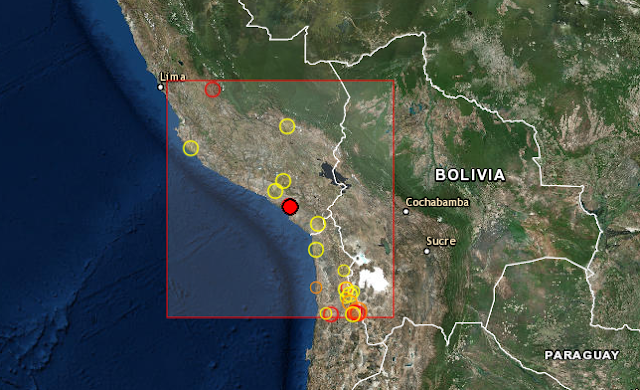 A4.1R came up this afternoon in S Peru at the location shown in the map. Our prediction was for [16S, 70W]. Not bad at all.